Moscow and Ankara are carrying out their first joint military operation against Islamic State (IS, formerly ISIS/ISIL) in the Syrian province of Aleppo, the Russian Defense Ministry has announced. "Today, Russian and Turkish Air Forces are carrying out their first joint operation to target ISIL in the suburbs of the town of al-Bab in the Aleppo province," Sergey Rudskoy, chief of the Main Operational Directorate of the General Staff, said at a briefing on Wednesday. 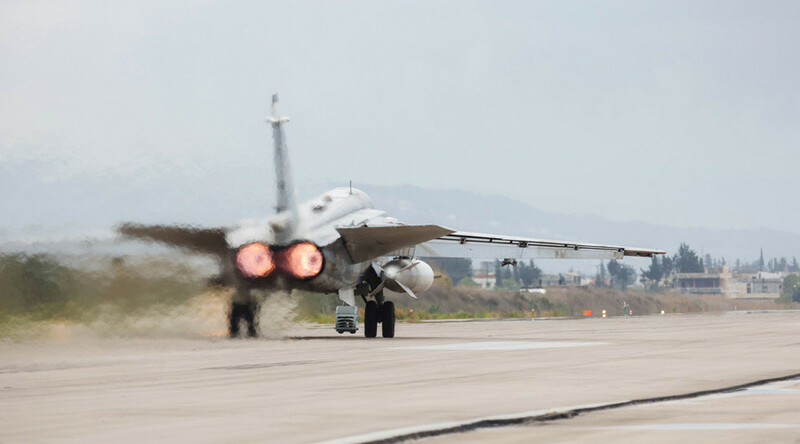 Nine Russian and eight Turkish planes are involved in the operation which has been coordinated with the Syrian government, Russia's Defense Ministry said, adding that 36 terrorist positions are being targeted. Based on the initial results, the joint effort has proved successful, the Defense Ministry official added. At the same time, the Russian military is involved in a separate operation against Islamic terrorists in Syria, assisting the Syrian Army in eastern Deir ez-Zor province to fend off the militants' recent large-scale offensive, Rudskoy said. The jihadists there are using their numerical superiority and are constantly attacking Syrian forces that are defending civilians in Deir ez-Zor, according to the military official. If the terrorists manage to capture the city, "a real genocide awaits its citizens," Rudskoy said, adding that "the whole Deir ez-Zor population might be completely exterminated." So far, Syrian government forces in the city, supported by the Russian Air Force, have managed to resist the IS assault, he said, describing the situation in Deir ez-Zor as "difficult." Moscow is also assisting the Syrian Army in its efforts to defeat IS terrorists in Palmyra, Rudskoy told the media, saying that in that region the army has launched an offensive against the jihadists. Yet there are reports, confirmed by several sources, that "a vast quantity of explosives have been thrown into the Palmyra area, to be used by ISIL terrorists to destroy the city's heritage," the Russian Defense Ministry warned. Islamist militants have come to Palmyra, Deir ez-Zor and al-Bab from Iraq, Rudskoy said at the briefing. "The actions of the US-led coalition in the Iraqi city of Mosul have generally come down to squeezing major ISIL forces into eastern Syria," the official said, adding that Islamic State has been "almost freely" moving its forces with weapons and explosives to the Syrian provinces. Meanwhile, a nationwide Syrian ceasefire – brokered by Moscow and Ankara and endorsed by the UN Security Council in late December – is being largely observed, the Russian Defense Ministry reported on Wednesday. Saying that Russian and Turkish forces have been jointly monitoring the ceasefire, Rudskoy added that there are fewer violations, which "creates favorable conditions" for upcoming talks in Astana, Kazakhstan. 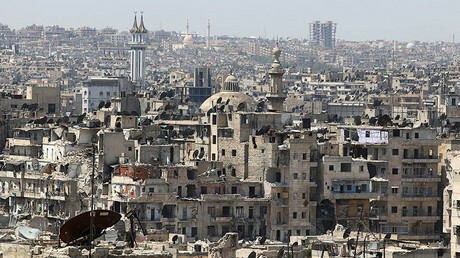 Peace talks on Syria are scheduled for next week in the Kazakh capital. A number of Syrian opposition groups have addressed the Russian Reconciliation Center in Syria to express willingness to take part in the talks, Rudskoy said. Earlier, Russian Foreign Minister Sergey Lavrov said he believed US and UN representatives should be invited to the meeting, aiming to finally find a solution to the Syrian crisis, but Iran reportedly rejects any participation by American representatives.